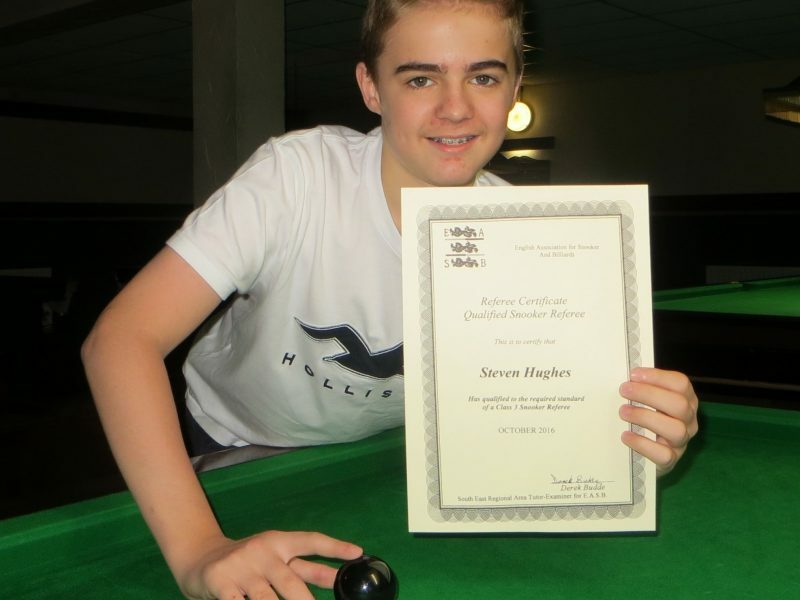 A TEENAGER from Chandler’s Ford has become one of the youngest qualified snooker referees in the country. Following months of studying and a couple of tutoring sessions in Hove, Steven Hughes (pictured) passed his Class 3 exam “with flying colours”. The 15-year-old, who has ambitions to be a professional referee and officiate in the world championships at the Crucible, was tested by Derek Budde, the south east regional area tutor-examiner for the English Association of Snooker & Billiards. Hughes is based at Chandler’s Ford Snooker Club and competes on the Cuestars South of England Under-21 Gold Tour and the EASB Regional Junior Tour – South West.